Standard(s): SC.912.L.17.19 Describe how different natural resources are produced and how their rates of use and renewal limit availability. Objective(s): (1) Discuss how fresh water can be both renewable and limited, (2) Explain the significance of a watershed, (3) Explain how groundwater is accessed. Essential Question: Where is all of our water? Standard(s): SC.912.L.17.20 Predict the impact of individuals on environmental systems and examine how human lifestyles affect sustainability. Objective(s): (1) List the three primary categories of freshwater use, (2) Relate the causes of surface water deletion to their effects, (3) Explain the major causes and effects of groundwater depletion, (4) Describe strategies for addressing water depletion. Essential Question: How can we change the way we use water? Standard(s): SC.912.L.17.14 Assess the need for adequate waste management strategies. 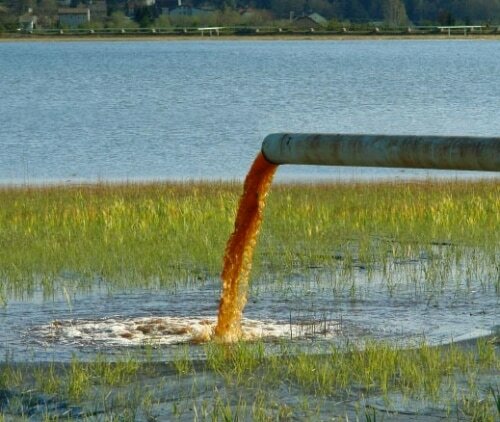 Objective(s): (1) Discusss the main categories of water pollution, (2) Explain why groundwater pollution is difficult to clean up, (3) Discuss the sources and effects of major pollutants found in the ocean, (4) Describe how water is regulated and treated. Essential Question: How does water pollution affect humans and ecosystems? Vocabulary: point-source pollution, nonpoint-source pollution, cultural eutrophication, wastewater, algal bloom, pathogen, red tide, septic system. * Translation Disclaimer: translations are only an approximation of the original content. The translation should not be considered exact and in some cases may include incorrect language or grammar. While every effort is made to ensure the accuracy of the translation, portions may be incorrect. Any person who relies on information obtained in these translations does so at his or her own risk.